There will be no Protect Minnesota protest at the Capitol today. 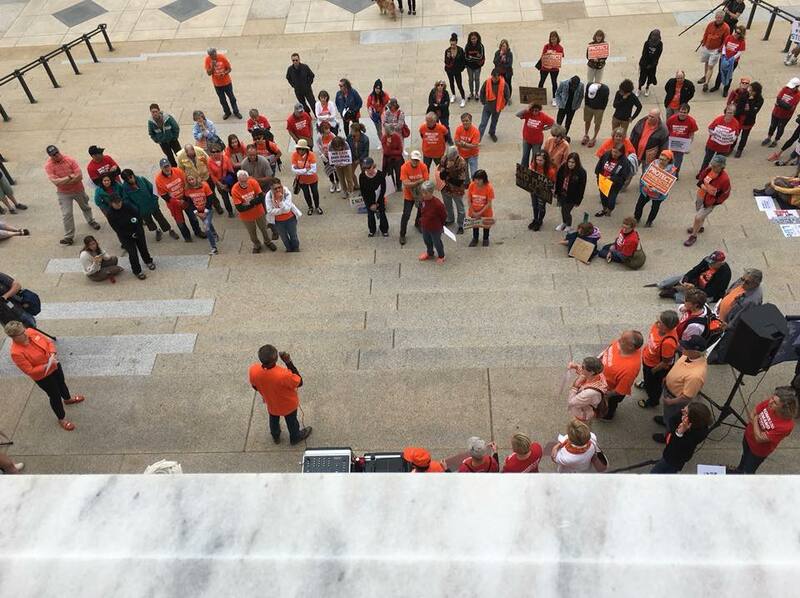 The pro-gun rights Majority is dug in, no sensible gun bills will be passed today, and we’re not going to give them the satisfaction of smugly walking past our protesters any more this session. Now, if you’re not Nancy Nord Bence, you might think that today – the last substantive day of legislative activity, when all anti-gun bills have been scrubbed from existence – would be the perfect day to go to the capitol in your ELCA hair and your orange shirt and your waves of uninformed sanctimony and try to gun-shame some people who were elected by a decisive majority of voters. But then this isn’t about Nancy Nord Bence wanting to send a moral message by her/their absence. They rallied on Saturday, when there was still a long shot of getting something passed (had hell frozen over on a gorgeous Saturday afternoon). Nancy Nord Bence put out a call for warm, uninformed bodies to come to the capitol to shake down the thunder on the legislators. They’ve made their beds. We will remember. And we’ll spend all summer and fall helping the electorate to remember as well. Oh, so will I, Nancy. I’ve seen bigger crowds when a new iPhone goes on sale.